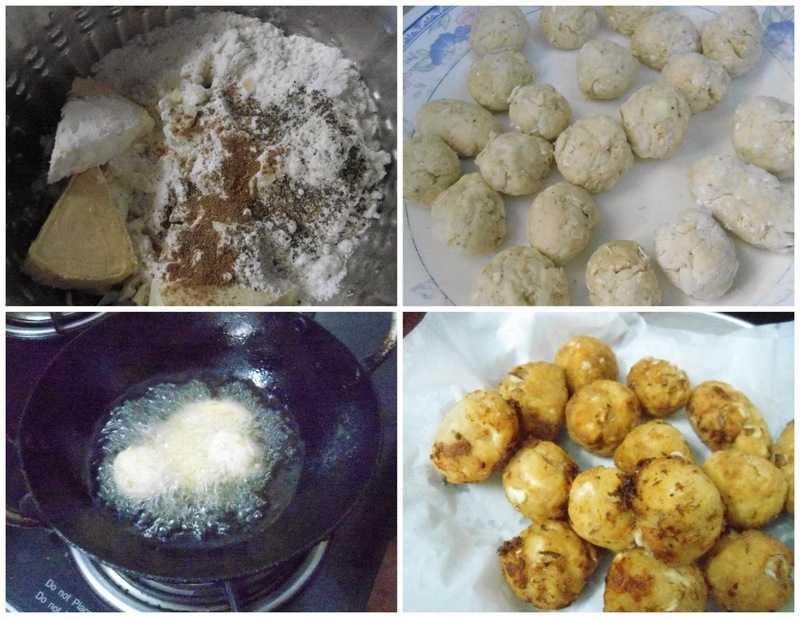 Looking for quick snacks for kids when they return from school try this easy vegetable cheese balls.You can use any vegetable of your choice or a mix of it.I made it with cabbage alone. 1.In a mixing bowl add everything except oil and mix well. 2.Slowly add water and form a smooth dough. 3.Make small balls of it. 4.Heat oil and deep fry them.Drain excess oil on paper towel. If u use mozzarella cheese don't add in to and mix.Cut small cubes of it. Make a dough with all.In a small ball dump a piece of cheese and close it well.then fry them. 1.Add veggies of ur choice.you can use bread crumbs also. love to make this for kids, visit me too dear. Wow! perfectly made snack. Love the addition of cheese. Yummy snacks. Thanks for linking.